He was very attentive, listened to concerns, and did well explaining treatments. He is very easy to talk to and veryunderstanding. He was very attentive, listened to concerns, and did well explaining treatments. He is very easy to talk to and very understanding. I have never in my life seen what a Doctor actually puts into your file. Dr. Hedge was thorough, patient andvery personable. He explained my labs and what they meant, talked to me about my health, frequently pausing to address any concern I may have. Incredible service, hands down the best I have ever had in my 36 years. Labs were down the hall and he recommended what I needed, not just go get blood drawn. Staff was delightful and swift. I have never in my life seen what a Doctor actually puts into your file. Dr. Hedge was thorough, patient and very personable. He explained my labs and what they meant,talked to me about my health, frequently pausing to address any concern I may have. Incredible service, hands down the best I have ever had in my 36 years. Labs were down the hall and he recommended what I needed, not just go get blood drawn. Staff was delightful and swift. Thank you for scheduling your appointment with our office. New patients are required to arrive 30 minutes prior to appointment to complete registration. If you were unable to provide any insurance information at the time of scheduling, please contact our office with your insurance details prior to your appointment. If we do not hear from you, your account will be considered self-pay and any charges will be due in full at the time of service. 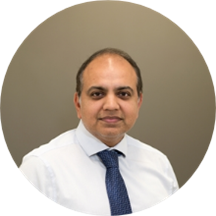 Dr. Dinraj Hegde is a board-certified family medicine physician providing his medical expertise to patients at Abrazo Medical Group Arrowhead. Dr. Hegde looks after the community of Glendale, AZ. He has been practicing medicine for the past 12 years and provides compassionate medical care for patients of all ages, including preventative care and treatment of acute and chronic diseases. He is an affiliate of the CHRISTUS Spohn Hospital Corpus Christi – Memorial, the Phoenix Baptist Hospital, and the CHRISTUS Spohn Hospital Corpus Christi – South. Dr. Hegde earned his medical degree from the Kasturba Medical College Manipal. Further, he went on to complete his residency, also at the Kasturba Medical College Manipal. He then moved to the United States, where he completed a residency in family medicine at the State University of New York, Buffalo. He concluded his medical training by completing a fellowship in maternal and child health at the PCC Community Wellness Center. His interests include women’s health, minor procedures, and geriatric care. He is a member of the American Academy of Family Physicians. Dr. Hegde is professional, courteous, and practices evidence-based medicine. He believes in providing high-quality patient care and is a strong advocate of patient education. Very good doctor. He answered all my questions and really listens to you! Dr Hegde was very professional and courteous. He took the time to explain things thoroughly. Always a pleasant visit, he truly does care about your health and well-being. the receptionist girl told me that she would switch my pharmacy but she didn't,i went to wrong pharmacy had to cakk doctor's office again wait for them to call me back with doctor's permission or whatever,not satisfied with front desk. Dr was very personable and he listened! He genuinely wanted to help me. I think I've found my PCP in PHX. He's very pleasant and knowledgeable. He took his time and was very thorough. Great doctor, listened to everything I had to say, and was extremely helpful. His staff was all very polite, and nice. They exceeded my expectations. I will definitely be going there from now on.